President Jokowi Meets Chairman of Perindo Hary Tanoesoedibjo Is It About Talking Presidential Election 2019? 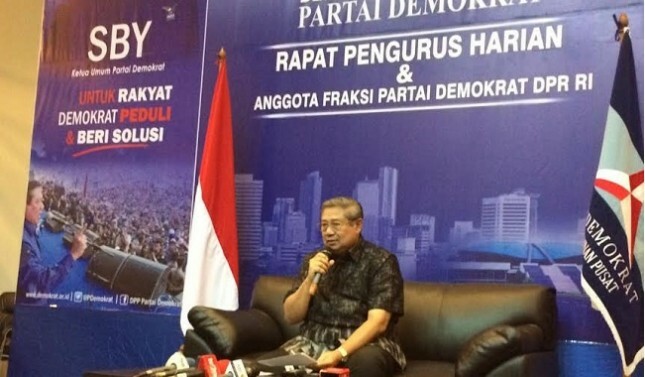 INDUSTRY.co.id - Jakarta - Chairman of the Demokrat Party Susilo Bambang Yudhoyono noted that the people of Indonesia still face a number of problems and shortcomings. Therefore he asked the government to work more diligently again. SBY also said the year 2018 is a very important year for the nation's journey in which will be held elections simultaneously and the early stages of the 2019 election. Demokrat believes that President Jokowi along with state and government tools have prepared the best management of the country and ensured that the 2018 election and 2019 election are peaceful, peaceful, orderly, smooth and able to run honestly and democratically. On that occasion also SBY said his party has seen various government achievements under the leadership of President Joko Widodo, and give an appreciation for the achievements that exist. The sixth President of the Republic of Indonesia conveyed that the Demokrat Party also knew that President Jokowi had seriously, being and continuing to perform his duties and responsibilities as the country's leader. Democrats hope the government can maintain its performance even improve to a better direction.